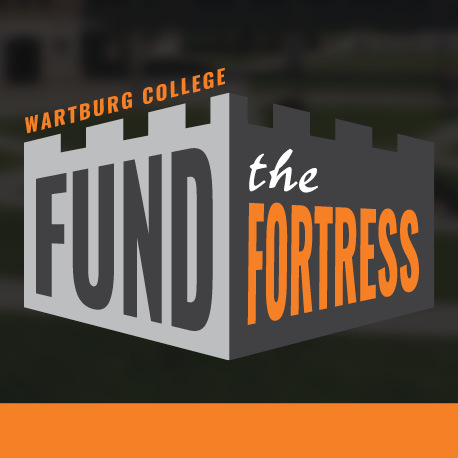 Fund the Fortress is Wartburg College’s crowdfunding platform that gives faculty and staff the opportunity to raise funds for projects, campus needs, activities, and more. Crowdfunding campaigns could range from supporting experiential learning opportunities to purchasing needed equipment to enhance the educational experience. Fund the Fortress is meant to give you an additional resource for funding that may not be allocated in your existing budget. The selection committee is now accepting crowdfunding campaign ideas. Applications can be submitted through our Fund the Fortress page. Application deadline for first semester crowdfunding campaigns is Aug. 20. Deadline for second semester crowdfunding campaigns is Dec. 1. Contact Rob Ruchotzke with questions. The College is pleased to announce that Marty Johnson has accepted the position of Director of Dining Services as of Aug. 1, 2018. Thank you to all who participated in the interview process and provided feedback. All are invited to an open forum for the two Director of Campus Safety candidates on Tuesday, Aug. 14, at 10-11 a.m. and 2:30-3:30 p.m., both in McCoy East. Saturday, Aug. 25, is Move-In Day for our first-year class. Interact with new students and their families by volunteering to help physically move items into the residence halls from 8 to 11:30 a.m. Many hands make light work (and make for a smooth move-in process for all!). Contact Lindsey Leonard with questions. The Human Resources office has updated the Request to Fill form. This form is to be completed by all search committee chairs when filling a job vacancy. Please discard any copies of the outdated forms and replace with the new form found on the InfoCenter > Employment > Forms and Procedures > Payroll and Personnel Forms > Request to Fill. Old versions and incomplete forms will NOT be accepted moving forward. All are invited to join Vogel Library colleagues in honoring the service of Ashley McHose, information literacy librarian and Clinton Hall’s faculty in residence, at a farewell reception in the Konditorei on Wednesday, Aug. 8, from 10 to 11:30 a.m. The Alumni and Parent Relations Office reminds faculty and staff to encourage alumni to notify the college of life updates (milestones, job changes, etc.) and address changes through the update form or by emailing alumni@wartburg.edu. The Faculty/Staff Picnic at Greenwood is Aug. 22. Please remember to RSVP at www.wartburg.edu/picnic/ by Aug. 15. The Juice will run every other week throughout the summer, and as needed for important news. The next regular edition of The Juice will be Aug. 20, and weekly editions will resume then. Please send in your items by 4 p.m. the Thursday before publication. If you have important items that may need to run immediately, please contact Stephanie Boeding directly. Dr. Roy Ventullo, professor emeritus, will receive an honorary Doctor of Humane Letters from Allen College at the college's summer commencement ceremony at 3 p.m. Friday, Aug. 10, at Nazareth Lutheran Church in Cedar Falls. Ruth Sundermeyer Courier ’78 is the honorary chair for the Aitkin, Minn., American Cancer Society Relay for Life, as reported by the Aitkin Age. Chris Wood ’09 was named the head coach of the girls' track and field team at Cedar Falls High School, as reported by the Waterloo-Cedar Falls Courier.